Many of these supporters dutifully provide care without complaint. Yet, demands may start to take a toll and their own health may be compromised.t’s estimated there are more than 150,000 unpaid family caregivers in Hawai‘i. These valuable helpers are typically women in their early 60s who are caring for their husbands or elderly parents while still working. And that doesn’t take into account those who may occasionally care for their grandchildren, as well. Professionals can provide solutions to a variety of situations. 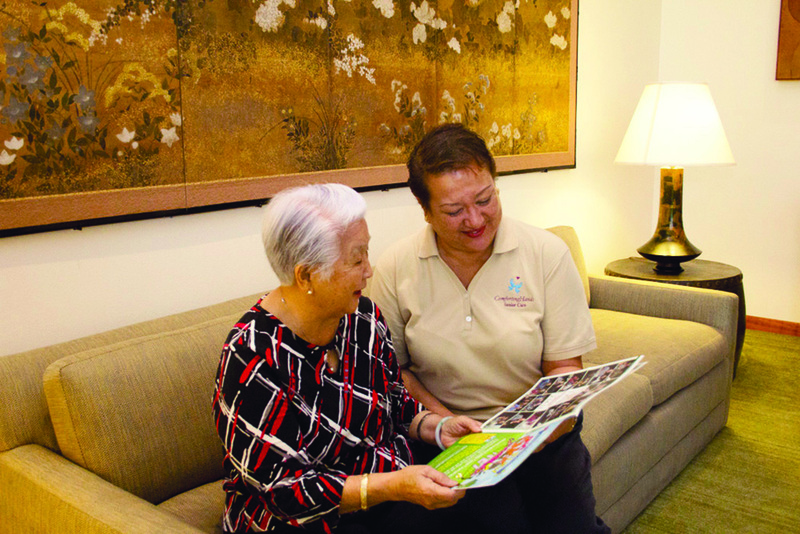 Local programs are available in Hawai‘i ensure everyone feels comfortable and confident about their caregiver role. One option is the AUW Active Aging Initiative, which strives to keep active seniors healthy and maintain strong family caregivers. There are also practical, hands-on caregiver training classes that covers bathing an elder, proper nutrition, wheelchair-bed transfers and more. Find a local program that fits your needs.